Rogue Skateboards was founded in 2005 by Dora Horvath, Georgie Winter, Emily Russell, Zoe Kings and Jenna Selby. 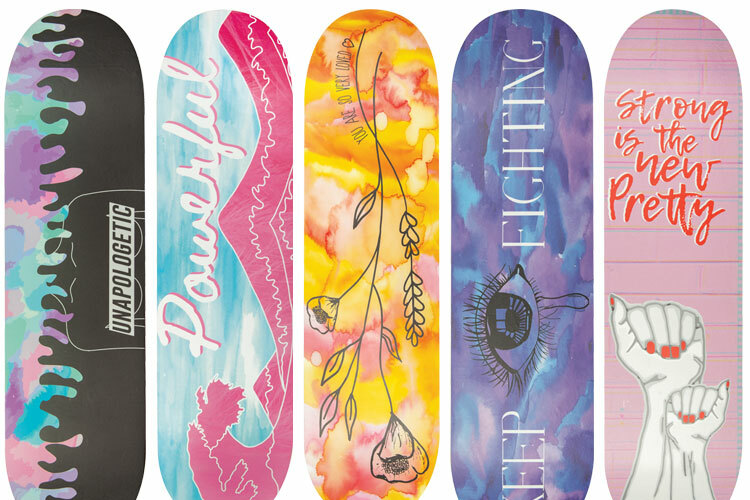 Rouge is a brand to produce quality skateboard deck designs for their predominantly female audience. The client requires a skateboard deck design for their upcoming ‘unapologetic‘ line release.